"Buyer" the firm or company who purchases the Goods from the Company. 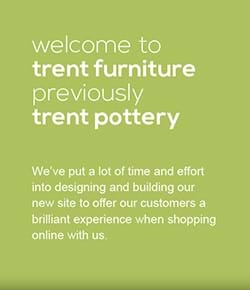 "Company" The Trent Pottery Company (Leicester) Limited (Company Number: 653311). "Delivery Point" the place where delivery of the Goods is to take place under condition 6. 2.1. Subject to any variation under condition 2.3 the Contract shall be on these conditions to the exclusion of all other terms and conditions (including any terms or conditions which the Buyer purports to apply under any purchase order, confirmation of order, specification or other document). 2.3. These conditions apply to all the Company’s sales and any variation to these conditions and any representations about the Goods shall have no effect unless expressly agreed in writing and signed by the managing director of the Company. The Buyer acknowledges that it has not relied on any statement, promise or representation made or given by or on behalf of the Company which is not set out in the Contract. Nothing in this condition shall exclude or limit the Company’s liability for fraudulent misrepresentation. 2.4. Each order or acceptance of a quotation for Goods by the Buyer from the Company shall be deemed to be an offer by the Buyer to purchase Goods subject to these conditions. 2.5. The Company must receive payment of the whole price of the Goods before the Buyer’s order can be accepted. No order placed by the Buyer shall be deemed to be accepted by the Company until a written acknowledgement of order is sent to the Buyer by email by the Company. 2.7. Any quotation is given on the basis that no Contract shall come into existence until the Company despatches an acknowledgement of order to the Buyer. Any quotation is valid for a period of 30 days only from its date, provided that the Company has not previously withdrawn it. 3.1 The Company shall be entitled to cancel any Contract if one or more of the Goods ordered by the Buyer was listed at an incorrect price due to a typographical error or an error in the pricing confirmation received from the Company’s suppliers. If the Company does cancel the Contract, the Company will notify the Buyer by email and will re-credit to the Buyer’s account any sum deducted by the Company from the Buyer’s credit card as soon as possible. The Company will not be obliged to offer any additional compensation for disappointment suffered. 4.1.3 non-standard sizes for the Goods. 4.2 Sometimes the product specifications of the Goods from the manufacturer may change, in which case the Company will do its best to offer the Buyer a substitute of the same or better quality as the Goods at the same price. If the Buyer is not happy with the replacement the Buyer can return it to the Company within seven working days of it receiving the Goods. 4.3 All the Company’s products are guaranteed against manufacturing defects for a minimum of 12 months. The Buyer’s statutory rights are unaffected. 4.4 If the Buyer returns Goods to the Company (for instance, because the Buyer has notified the Company in accordance with paragraph 20 that it does not agree to any change in these terms and conditions, or because it claims that the Goods are defective), the Company will examine the returned Goods and will notify the Buyer of any refund within a reasonable period of time. The Company will process the refund due as soon as possible. Goods returned by the Buyer because of a defect will be refunded in full, including a refund of the delivery charges for sending the item to the Buyer and the cost incurred by the Buyer in returning the item to the Company. 4.5 Under the terms of the Consumer Protection Distance Selling Regulations, the buyer has a 7 day ‘cooling off’ period after receiving the goods, in which they can cancel the contract providing items are unused and in their original packaging. Distance selling regulations only apply to your order if the goods have not been custom made to your specification. If the Distance Selling Regulations do apply you can cancel your furniture by notifying us, in writing, either before delivery or within 7 days from the date of delivery. When cancelling a contract under the Distance Selling Regulations, the consumer must take reasonable care of the goods from the time they receive them until the time they return them. When a consumer cancels the contract under the Distance Selling Regulations they must return the goods to us at their own expense. 4.6 You agree to take reasonable care of the goods from the time that they are delivered to you until the time that they are returned. Examples of failure to take reasonable care of goods may include if the goods have been used, if you assemble or part assemble the goods or if you remove the goods from their packaging and fail to appropriately repack them. If your failure to take reasonable care of the goods results in them being unable to be resold as new we reserve the right to refuse the return of the goods for either an exchange or full refund. 5.1. The quantity and description of the Goods shall be as set out in the Company’s quotation or acknowledgement of order (whichever was sent later). 5.2.1. All samples, drawings, descriptive matter, specifications and advertising issued by the Company and any descriptions or illustrations contained in the Company’s catalogues, website or brochures are issued or published for the sole purpose of giving an approximate idea of the Goods described in them. They shall not form part of the Contract and this is not a sale by sample. 6.1 Goods will be delivered to the address that the Buyer specifies in the order. The Company will only deliver Goods to a UK mainland address, therefore if the Buyer wishes the Goods to be ultimately delivered to a non-UK mainland address, the Buyer must specify a UK mainland address for delivery by the Company. The Buyer will be responsible for all onward carriage of the Goods from such UK mainland address to the non-UK mainland address. Unless otherwise agreed in writing by the Company, delivery of the Goods shall take place at the UK mainland address specified by the Buyer in the order. 6.2. Unless otherwise agreed with the Company, the Buyer shall take delivery of the Goods on the dates specified by the Company for delivery. 6.3 Any dates specified by the Company for delivery of the Goods are intended to be an estimate and time for delivery shall not be made of the essence by notice. If no dates are so specified, delivery shall be within a reasonable time of the acknowledgement of order from the Company, unless there are exceptional circumstances. The Company shall not be liable for any delays or failure to deliver the Goods (or any part of them) within any specified timescales or, if no dates are so specified, within a reasonable time. For example, if any of the Goods are not in stock, every attempt will be made to meet the agreed delivery times but the Company cannot be liable for any delay arising from its suppliers and/or manufactures’ own delivery schedules, which may be subject to variation beyond the Company’s control. 6.4 Subject to the other provisions of these conditions the Company shall not be liable for any direct, indirect or consequential loss (all of which terms include, without limitation, pure economic loss, loss of profits, loss of business, depletion of goodwill and similar loss), costs, damages, charges or expenses caused directly or indirectly by any delay in the delivery of the Goods (even if caused by the Company’s negligence), nor shall any delay entitle the Buyer to terminate or rescind the Contract unless such delay exceeds 180 days. c) the Company may store the Goods until delivery, whereupon the Buyer shall be liable for all related costs and expenses (including, without limitation, storage and insurance). 6.6. The Buyer shall provide at the delivery point adequate and appropriate equipment and manual labour for loading the Goods at the Buyer’s expense. 6.7. The Company may deliver the goods by separate instalments. Each separate instalment shall be invoiced and paid for in accordance with the provisions of the Contract. 6.8. Each instalment shall be a separate Contract and no cancellation or termination of any one Contract relating to an instalment shall entitle the Buyer to repudiate or cancel any other Contract or instalment. 6.9. On delivery, the Buyer (or the Buyer’s nominated contact) shall be obliged to produce a suitable form of identification. Failure to provide may result in the Goods not being delivered, without liability being incurred by the Company. 7.1. The quantity of any consignment of Goods as recorded by the Company upon despatch from the Company’s place of business shall be conclusive evidence of the quantity received by the Buyer on delivery unless the Buyer can provide conclusive evidence proving the contrary. 7.2. The Company shall not be liable for any non-delivery of Goods (even if caused by the Company’s negligence) unless the Buyer gives written notice to the Company of the non-delivery within 7 days of the date when the Goods would in the ordinary course of events have been received. 7.3. Any liability of the Company for non-delivery of the Goods shall be limited to replacing the Goods within a reasonable time or issuing a credit note at the pro rata Contract rate against any invoice raised for such Goods. 8.1. The Goods are at the risk of the Buyer from the time of delivery. b) all other sums which are or which become due to the Company from the Buyer on any account. d) maintain the Goods in satisfactory condition and keep them insured on the Company’s behalf for their full price against all risks to the reasonable satisfaction of the Company. On request the Buyer shall promptly produce the policy of insurance to the Company. b) any such sale shall be a sale of the Company’s property on the Buyer’s own behalf and the Buyer shall deal as principal when making such a sale. c) the Buyer encumbers or in any way charges any of the Goods. 8.6. The Company shall be entitled to recover payment for the Goods notwithstanding that ownership of any of the Goods has not passed from the Company. 8.7. The Buyer grants the Company, its agents and employees an irrevocable licence at any time to enter any premises where the Goods are or may be stored in order to inspect them, or, where the Buyer’s right to possession has terminated, to recover them. 8.8. Where the Company is unable to determine whether any Goods are the goods in respect of which the Buyer’s right to possession has terminated, the Buyer shall be deemed to have sold all goods of the kind sold by the Company to the Buyer in the order in which they were invoiced to the Buyer. 8.9. On termination of the Contract, howsoever caused, the Company’s (but not the Buyer’s) rights contained in this condition 8 shall remain in effect. 9.1. Unless otherwise agreed by the Company in writing, the price for the Goods shall be the price set out on the website. 9.2. The price for the Goods shall be exclusive of any value added tax and all costs or charges in relation to packaging, loading, unloading, carriage and insurance, all of which amounts the Buyer shall pay in addition when it is due to pay for the Goods. All delivery charges are set out in the website. 10.1. Subject to condition 10.4, payment of the price for the Goods is due in pounds sterling prior to the date the Goods are delivered or deemed to be delivered. We will take payment from your card at the time we receive your order, once we have checked your card details. 10.2. Time for payment shall be of the essence. 10.3. No payment shall be deemed to have been received until the Company has received cleared funds. 10.4. All payments payable to the Company under the Contract shall become due immediately on its termination despite any other provision. 10.5. The Buyer shall make all payments due under the Contract in full without any deduction whether by way of set-off, counterclaim, discount, abatement or otherwise unless the Buyer has a valid court order requiring an amount equal to such deduction to be paid by the Company to the Buyer. 10.6. If the Buyer fails to pay the Company any sum due pursuant to the Contract, the Buyer shall be liable to pay interest to the Company on such sum from the due date for payment at the annual rate of 5% above the base lending rate from time to time of Barclays Bank PLC, accruing on a daily basis until payment is made, whether before or after any judgment. The Company reserves the right to claim interest under the Late Payment of Commercial Debts (Interest) Act 1998. 10.7. The Buyer agrees not to make any charge-backs and/or deny or reverse any payment made for Goods and will reimburse the Company for any charge-backs, denial or reversal of payments the Buyer makes and any loss suffered by the Company as a result. 11.1. Where the Company is not the manufacturer of the Goods, the Company shall endeavour to transfer to the Buyer the benefit of any warranty or guarantee given to the Company. c) be reasonably fit for any particular purpose for which the Goods are being bought if the Buyer had made known that purpose to the Company in writing and the Company has confirmed in writing that it is reasonable for the Buyer to rely on the skill and judgement of the Company. b) the Company is given a reasonable opportunity after receiving the notice of examining such Goods and the Buyer (if asked to do so by the Company) returns such Goods to the Company’s place of business at the Company’s cost for the examination to take place there. c) the Buyer alters or repairs such Goods without the written consent of the Company. 11.5. Subject to condition 11.3 and condition 11.4, if any of the Goods do not conform with any of the warranties in condition 11.2 the Company shall at its option repair or replace such Goods (or the defective part) or refund the price of such Goods at the pro rata Contract rate provided that, if the Company so requests, the Buyer shall, at the Company’s expense, return the Goods or the part of such Goods which is defective to the Company. 11.6. If the Company complies with condition 11.5 it shall have no further liability for a breach of any of the warranties in condition 11.2 in respect of such Goods. 11.7. Any Goods replaced shall belong to the Company and any repaired or replacement Goods shall be guaranteed on these terms for the unexpired portion of the 12 month period. 12.1. The Buyer acknowledges and agrees that all copyright, trademarks and all other intellectual property rights in all materials and/or content made available as part of the Buyer’s use of this website shall remain at all times vested in the Company or its licensors. The Buyer agrees not to (and agrees not to assist or facilitate any third party) to copy, reproduce, transmit, publish, distribute, commercially exploit or create derivative works of such material or content. 13.2. All warranties, conditions and other terms implied by statute or common law (save for the conditions implied by section 12 of the Sale of Goods Act 1979) are, to the fullest extent permitted by law, excluded from the Contract. b) the Company shall not be liable to the Buyer for any pure economic loss, loss of profit, loss of business, depletion of goodwill or otherwise, in each case whether direct, indirect or consequential, or any claims for consequential compensation whatsoever (howsoever caused) which arise out of or in connection with the Contract. 13.5. The Company may assign the Contract or any part of it to any person, firm or company. 14.1. The Buyer shall not be entitled to assign the Contract or any part of it without the prior written consent of the Company. 15.1. The Company reserves the right to defer the date of delivery or to cancel the Contract or reduce the volume of the Goods ordered by the Buyer (without any liability to the Buyer) if it is prevented from or delayed in the carrying on of its business due to circumstances beyond the reasonable control of the Company including, without limitation, acts of God, governmental actions, war or national emergency, acts of terrorism, protests, riot, civil commotion, fire, explosion, flood, epidemic, lock-outs, strikes or other labour disputes (whether or not relating to either party’s workforce), or restraints or delays affecting carriers or inability or delay in obtaining supplies of adequate or suitable materials or unavailability of the website (howsoever caused) provided that, if the event in question continues for a continuous period in excess of 3 days, the Buyer shall be entitled to give notice in writing to the Company to terminate the Contract. 16.1. Each right or remedy of the Company under the Contract is without prejudice to any other right or remedy of the Company whether under the Contract or not. 16.2. Failure or delay by the Company in enforcing or partially enforcing any provision of the Contract shall not be construed as a waiver of any of its rights under the Contract. 16.3. Any waiver by the Company of any breach of, or any default under, any provision of the Contract by the Buyer shall not be deemed a waiver of any subsequent breach or default and shall in no way affect the other terms of the Contract. 17.1. If any provision of the Contract (or part of a provision) is found by any court or administrative body of competent jurisdiction to be invalid, unenforceable or illegal, the other provisions shall remain in force. 17.2. If any invalid, unenforceable or illegal provision would be valid, enforceable or legal if some part of it were deleted, the provision shall apply with whatever modification is necessary to give effect to the commercial intention of the parties. 18.1. The parties to this Contract do not intend that any term of this Contract shall be enforceable by virtue of the Contracts (Rights of Third Parties) Act 1999 by any person that is not a party to it. b) (in the case of the communications to the Buyer) to the registered office of the addressee (if it is a company) or (in any other case) to any address of the Buyer set out in any document which forms part of the Contract or such other address as shall be notified to the Company by the Buyer. c) if sent by fax on a working day prior to 4.00 pm, at the time of transmission and otherwise on the next working day. 19.3. Communications addressed to the Company shall be marked for the attention of R.J. Price. 20.1 The Company has the right to revise and amend these terms and conditions from time to time to reflect changes in market conditions affecting the Company’s business, changes in technology, changes in payment methods, changes in relevant laws and regulatory requirements. 20.2 The Buyer will be subject to the policies and terms and conditions in force at the time that it orders products from the Company unless any change to those policies or these terms and conditions is required to be made by law or governmental authority (in which case it will apply to orders previously placed by the Buyer), or if the Company notifies the Buyer of the change to those policies or these terms and conditions before the Company sends to the Buyer a written acknowledgement of order (in which case the Company has the right to assume that the Buyer has accepted the change to the terms and conditions, unless the Buyer notifies the Company to the contrary within seven working days of receipt by the Buyer of the Goods). 21.1. This website and these conditions and any disputes or claims arising out of or in connection with their subject matter are governed by and construed in accordance with the law of England. 21.2. The parties irrevocably agree that the courts of England have exclusive jurisdiction to settle any dispute or claim that arises out of or in connection with these conditions.